FORT WAYNE, Ind. 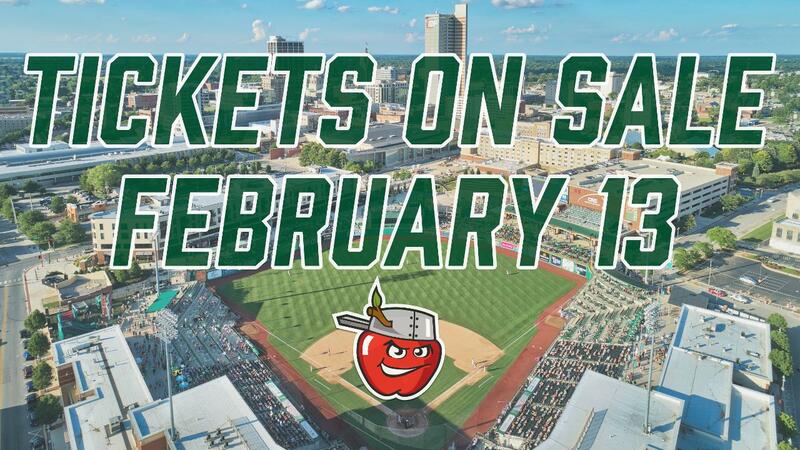 - Tickets to individual games for the 2019 Fort Wayne TinCaps season at Parkview Field are set to go on sale Wednesday, Feb. 13, beginning at 8 a.m. Fans can purchase their tickets in person at Parkview Field, by calling 260-482-6400, and at TinCapsTickets.com. For fans that purchase tickets at Parkview Field between 8-10 a.m. on Feb. 13, the TinCaps are offering a free breakfast buffet in the ballpark's Suite Level Lounge (see menu below). "We can't wait for Opening Night to get here," TinCaps President Mike Nutter said. "After 10 seasons of success at Parkview Field, we're looking forward to an even more fruitful second decade to begin in 2019. Tickets going on sale means we're that much closer to baseball, and we hope fans are able to take advantage of our offer to enjoy a free breakfast at the ballpark on us as a sign of our appreciation for our community's incredible support." Opening Night at Parkview Field is Thursday, April 4 (7:05 p.m.) when the TinCaps host the Lansing Lugnuts (Toronto Blue Jays affiliate). That night will feature the first of 30 postgame fireworks shows during the year, and also will be the first of 12 Thirsty Thursday™ dates. The team's 70-game regular season home schedule concludes on Labor Day, Sept. 2. Along the way, the TinCaps are home on the Fourth of July and Father's Day.Click here for the team's full schedule and here for the 2019 promotional schedule-full of theme nights and national entertainers. Through 10 seasons at Parkview Field, the TinCaps have hosted more than 4 million fans for games and welcomed another 1 million-plus for non-baseball special events. Ballpark Digest recognized the TinCaps with their "Continued Excellence Award" following the 2018 season. Meanwhile, Parkview Field has been ranked by Stadium Journey as the No. 1 Minor League Baseball Ballpark Experience six of the past eight seasons (and in the Top 3 every year). On the field, the TinCaps enter their 21st season as an affiliate of the San Diego Padres, who are considered to have the best farm system in baseball by MLB.com and Baseball America. The Padres will release the TinCaps' 2019 roster at the end of spring training in late March. While individual tickets to all games go on sale Feb. 13, fans can currently purchase season tickets and book group outings. For more information, visit TinCaps.com or call 260-482-6400.